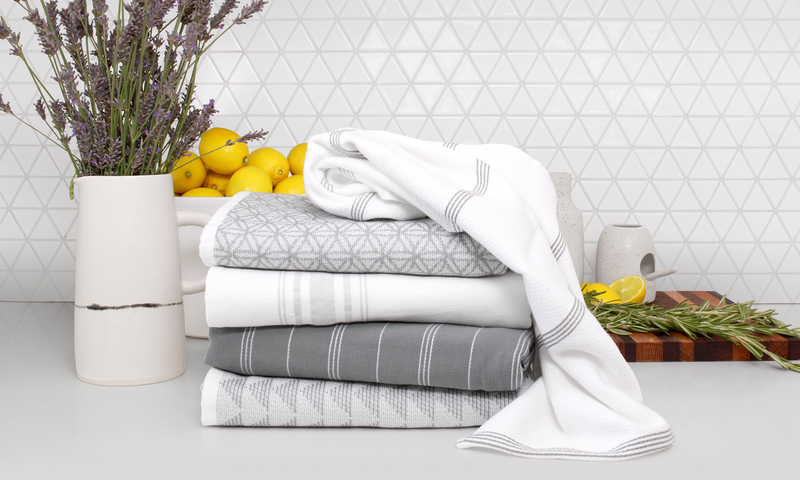 Our kitchen towels have a stylishly flat or textured front and absorbent loop on the back. 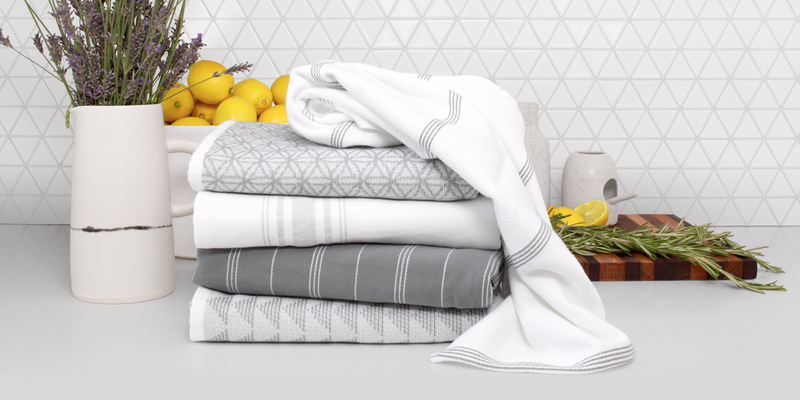 Soft, Durable, stylish and modern. They are as pretty as they are useful.